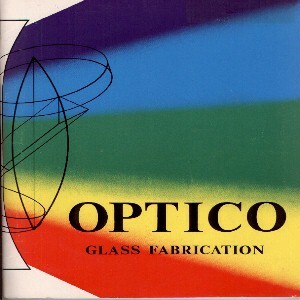 Optico Glass Fabrication specializes in custom and stock optics for the most stringent optical requirements. Our clients are found in both the public and private sectors, and our products are found in all fields of technology. We have 25 years of experience in glass fabrication. Please fax us at (805) 461-0420 to request a quote on your special needs, or email optico@optilens.com to Optico Glass Fabrication. Optico.... is a word we hope you'll come to recognize and use frequently. As you look through our catalog, keep in mind our business is to provide you with quality optics at competitive prices. Our firm was founded on the premise that high quality optical components along with expedient production and reasonable prices are the main consideration for you, the prospective customer. We can provide you with practically all the necessary services to complete your optical job quickly and economically. We build to print, and our services include Prototype & Modifications; we welcome your inquiries concerning either prototype development of your optical component designs or modification to existing optics. We can perform edging, cementing, centering, polishing, coating, etc. An important point worth your consideration is our staff and equipment. Many years of combined experience and technology assure you of fast production, competent quality assurance, and certainty in scheduled completion dates. Our capabilities range from laser micro-optics for Night Observation Devices to Solar Simulators. We have the capacity to produce practically any type of precision lens. Our in-process quality monitoring plus use of the latest and finest equipment and methods assures you of a finished product to your quality standards. We wish to leave you with the thought that using our experience, equipment, and craftmen's skills in producing your parts will reward your decision to do business with us at Optico Glass Fabrication. ORDERS: Orders may be placed by phone, fax, mail, or email. PRICES: All prices are F.O.B. Atascadero, California, and do not cover sales tax. TERMS: Payment terms upon credit approval are net 30 days, or cash in advance. DISCOUNT: Optico Glass Fabrication will gladly provide quantity discounts. SHIPMENT: UPS regular service will be used unless otherwise instructed by the buyer.